Hey mama! I'm so happy to have you here! After my daughter was born via c-section in June of 2015 (after an incredibly unhealthy pregnancy), I struggled with postpartum anxiety and binge eating. I struggled to find balance as we dealt with jaundice, issues with breastfeeding, recovering from surgery, and finding myself as a new mama! About 2 months after Olivia was born, I knew I had to make a change ... and my journey from surviving motherhood to thriving in my life started! I'm still a hot mess mama - but I embrace it and refuse to hold back on the "Real Life" stuff! I am a self-proclaimed toddler stylist and a total book nerd with a passion for personal development. I'm into hippie stuff (think sage and the Law of Attraction) and hood music. I love Starbucks, getting pedicures, and traveling. I describe myself as an extroverted introvert and a procrastinating perfectionist (I mean, we're all a work in progress, after all). I've got a love/hate relationship with fitness and a love/love relationship with food. I've struggled with my weight my entire life and I've tried every diet in the book... but I've finally found BALANCE! 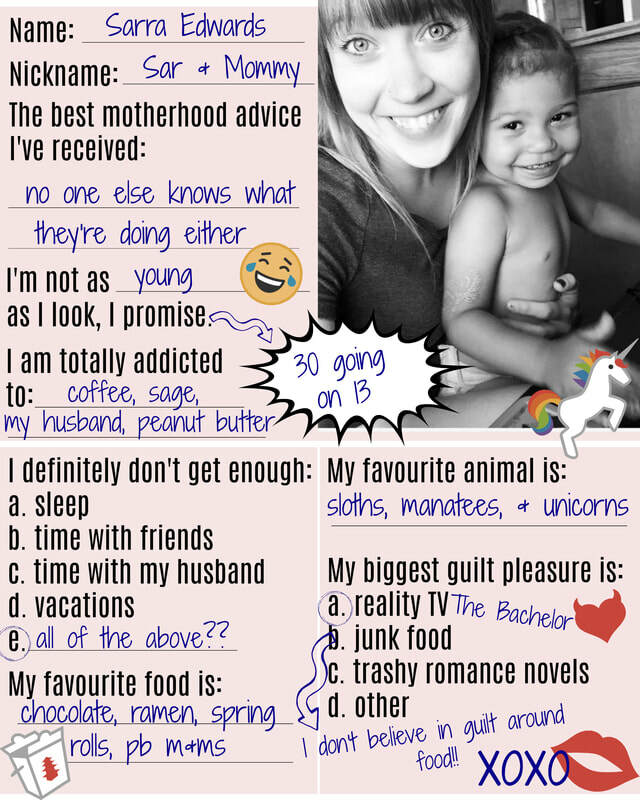 I'm passionate about helping other mamas live healthier and happier lives (without spending hours in the gym or giving up their favourite things to eat). My favourite way to get to know someone? A cosmo Quiz!